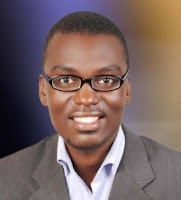 Bwesigye bwa Mwesigire is a Ugandan writer, academic, and lawyer. He is a co-founder of the Kampala-based Center for African Cultural Excellence. Bwesigye is the author of "Fables out of Nyanja" and "Finding Foot as an International Court; The Prospects and Challenges of the East African Court of Justice"
His other work has been published by The Kalahari Review, Short Story Day Africa, Uganda Modern Literary Digest, The World to Come and African Roar among others. Bwesigye holds an LLM in Human Rights Law from Central European University and an LLB from Makerere University. He is an assistant lecturer of human rights at Makerere University, Research convener and moots coordinator at St. Augustine International University. Vitabu: What's the background story behind the founding of the Center for African Cultural Excellence?